The members of the Editorial Team are either employees of Health Union, the parent company of IrritableBowelSyndrome.net, or professional medical writers who are contracted to work for Health Union. Often times we collaborate on articles for the site that may cover a broad range of topics from news articles, reports from our In America surveys, or a summary of feedback that we’ve gathered from our community members. 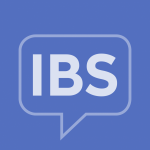 We also will occasionally cover news-worthy items, updates on research, and other topics that are important to the Irritable Bowel Syndrome community. Is There a Connection between IBS and Dental Fillings? Coping with IBS: What Should I Wear?